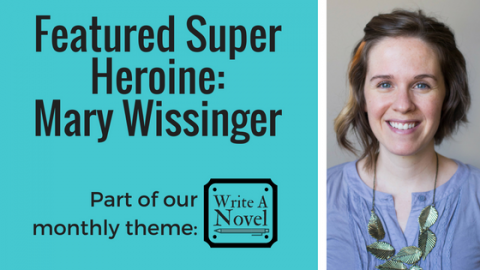 NaNoWriMo: Week 2 | Super Heroines, Etc. 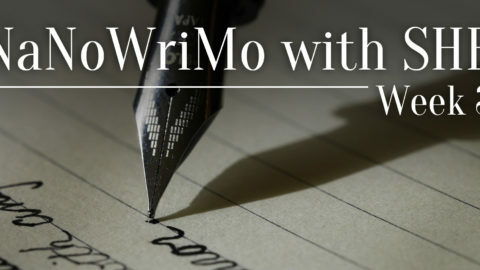 Hello, lovely friends, and welcome to week two of NaNoWriMo! I hope everyone’s writing journeys are off to a good start. Perhaps you’re completely on track with your goals through the first week of writing or perhaps, like me, you’ve already fallen woefully behind. Either way! This week I’ve compiled a list of helpful resources to help make the journey a little easier. I’ll admit, I am a skeptic when it comes to any “X Number of Ways to Accomplish Every Hope, Goal, and Dream You’ve Ever Had” article. However, I am always interested in learning and trying out methods I may not have discovered yet. And if you’re really stuck and getting sucked into the internet black hole of killing time, why not kill time with articles that are going to feed your writing? The following is much larger collections of article and website lists that collect various writers’ resources. Good luck and until next week, keep going! You can do it! President of the Board for Super Heroines, Etc. Storyteller, illustrator, and performer, Fox Smith has been speaking publicly on social topics such as Geek Feminism, diversity and representation in media, creating safer spaces, and education and empowerment nationally for 6 years. Stories are her passion, and she holds the firm belief that everyone has a story that deserves to be told. Through the sharing of diverse voices and perspectives, we are able to create a true sense of community and belonging.